Some BlackBerry Smartphone Schematic Manuals PDF are above the page. The company - the manufacturer of smartphones BlackBerry, which until 2013 was called Research in Motion (RIM), was founded in 1984 by a student of the University of Waterloo (Ontario, Canada) Mike Lazaridis of Turkish origin. Initially, the company engaged in engineering activities in the field of devices for wireless data transmission, and in the early 1990s began to cooperate with Ericsson and RAM Mobile Data, which provide technologies for wireless text transmission in paging networks. Not surprisingly, the first device of the company was Inter @ ctive pager 900 (Bullfrog) pager with QWERTY-keyboard and the ability to send messages in 1996. The first device under the brand BlackBerry company RIM released in 1997 with the filing of Lexicon Branding, from the pen of which were released brands Pentium and Zune. 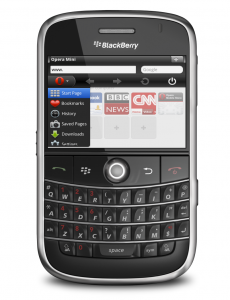 The keyboard of those RIM devices was associated with Lexicon Branding with a blackberry, and they called it. The first smartphone was the BlackBerry 957 Proton, it was equipped with a QWERTY-keyboard, a black and white display and supported calls only with the headset connected. Worked on the first version of the Blackberry OS. 2004 was marked by several events in the history of the BlackBerry: a new version of BlackBerry OS 4.x was released, which supported color screens, acquired a more convenient browser, Gallery application and many other innovations. It was used until 2008 and received several significant updates during this period. 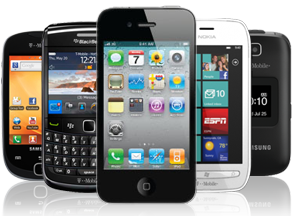 The same year was marked by an increase in popularity, the first million sold devices, experiments on the production of devices without a QWERTY keyboard and the first color smartphone BlackBerry 7210. In 2009, RIM sold more than 50 million smartphones around the world and was inferior only to Nokia (Schematics PDF page) in this indicator, and in terms of financial growth, it overtook all competitors and in 2010 crossed the mark of 100 million mobile terminals sold. In the same year, the BlackBerry World mobile app store opened. In 2010, BlackBerry OS 6.x, which once again was updated interface, browser and integrated search and native application for Youtube. Starting with this version, there was an integration with social services Facebook, Twitter, BlackBerry Messenger, LinkedIn. 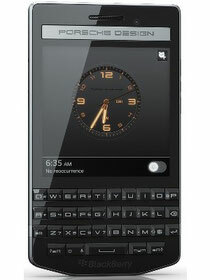 The company is experimenting with form factors, in particular, the BlackBerry Torch 9800 QWERTY slider with a touch screen appears. Despite the rather attractive smartphones and a number of interesting ideas in the new OS, the company's financial indicators were rapidly falling, the number of current models was declining. In the summer of 2013, attempts were made to sell the company, and by the fourth quarter options for leaving the corporate segment were being considered. In November, Thorsten Haynes resigns from his post, and his place is taken by John Chen, the former head of Sybase, a software company. He said that the company does not intend to give up production and will make radical changes in the strategy. Under his leadership, the company released a development-oriented budgetary BlackBerry Z3. In the future, the company plans to produce non-standard smartphones every year. In the meantime, the tenth version of the OS gets periodic updates, it is played by more and more "seamless" work of Android-applications. At the moment, almost all applications are supported up to Android 4.3. The company managed to reduce its losses, but it's too early to talk about the future of the company.